Ambassador to the United Kingdom - 1902-1916. Years of life 1849 – 1916 (died in office in late December 1916 according to the Gregorian calendar, and according to the Julian calendar, then in force in Russia, it was early January 1917). He started his diplomatic career in 1868, and also served at the Russian Imperial Court for several years. Prior to his assignment in London, he was ambassador to Denmark. He worked in the Russian embassy to Britain from 1902 to 1916 as the ambassador and is buried in the Westminster catholic cathedral. 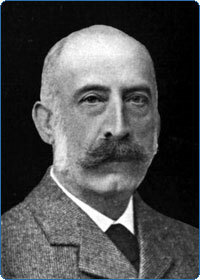 Count Benckendorff made an important personal contribution to the creation of Entente Cordiale and Russia-UK alliance during the First World War. One of the best diplomats of the Russian Empire, he nevertheless wasn't fluent in Russian and was the only Russian Ambassador who was allowed to write to the Emperor and MFA in French.